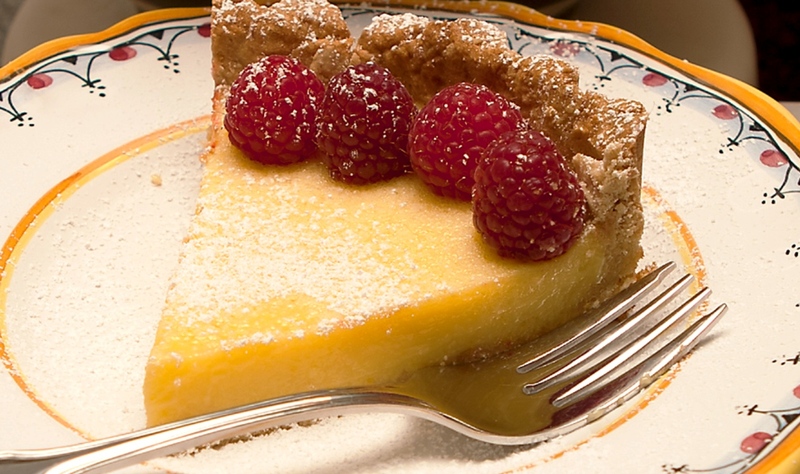 Lemon flavored desserts are one of my favorites and this one is no exception. What I like most about it is that it isn’t too sweet and making it in the summer is a great, refreshing idea! Using pecan in the crust really adds flavour – you just have to try it for yourself and let me know how you liked it! Spread pecans on a rimmed baking sheet and toast in the oven until golden, tossing occassionally for about 10 minutes. Let cool. You can garnish this pie with a variety of toppings – fresh whipping cream is great, or you can sprinkle it with icing sugar. I love topping with with raspberries! Another idea is to use this recipe to make lemon squares – so fast and easy! Hope you have enjoyed this recipe – please send me your comments, suggestions and experiences – your input is always welcomed and very much appreciated!